Printit4u use roll fed ncr print machinery which makes the printing of volume runs of No Carbon Required invoice books extremely competitive. 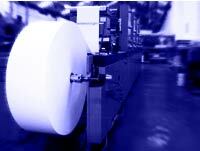 For shorter runs our competitors have to use sheet fed print machinery which is labour intensive. Printit4u also have an in house design studio and so there will be no expensive artwork costs and free proofs for customer's approval is standard. 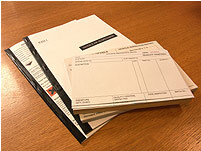 NCR Books are used by many organisations that want to keep a copy of their records. Printit4u specialise in the ncr printing of multi-part books. Printit4u offers a nationwide service and using specialist web roll-fed machinery we can produce volume runs cheaply for any size of books, and offer special perforating and numbering options. We can sequentialy number in either red or black ink and place the numbering in different positions. We strive for fast turn around times, the lowest prices, and the highest quality NCR printing. Please complete the following form and press submit for your fast no obligation business printing online quote. 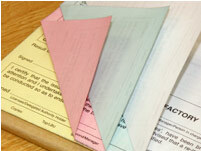 Trade printing enquiries for any type of NCR printing are welcome.